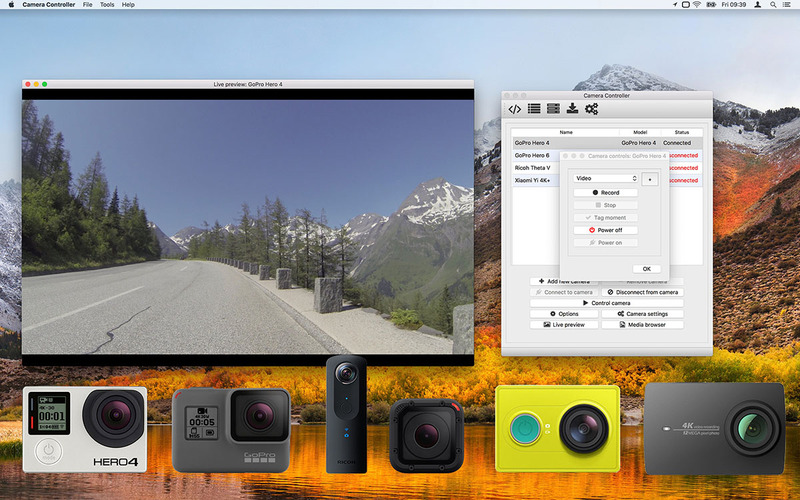 The Camera Controller app controls GoPro Hero, Ricoh Theta, and Xiaomi Yi action cameras. The Android, iOS, macOS, Raspberry Pi and Windows Desktop versions of the Camera Suite app now fully support the new GoPro Hero 6 camera. Click here for more information and downloads. An update for the Camera Suite for GoPro Hero cameras app is available which adds support for GoPro Hero 5 cameras. Also the Raspberry Pi support has been greatly improved.